Thanks for the inspiration. The 4th haiku in this group of seven haiku is integrity-related. A beautiful series of haikus representing perspectives of integrity! And love the questions challnging us to consider more ideas! An inspiring set of haiku! They sound like my inner voice, encouraging me to do better within myself, especially if I’m grumpy or judgemental. Also love Crosby, Still, Nash and Young! Particularly loved the last one. A wonderful set of Haiku’s and loved each one of them!! I was at a dead end with this prompt for a while till I read yours here!! It sparked me to contribute one for today!! imparting a divine influence on the mind and soul!! your series of haiku are beautiful! 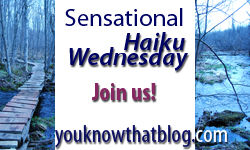 Great haikus, tricky subject this week – I struggled to find a photo to match my haikus. Roots next week should be much easier – so many ways to intepret that. I’ll send you though the photos later, when I get a spare 5mins. The only life worth living is one of integrity, no? beautiful haikus, loved the first one the most. Crosby Stills Nash & Young FTW!!! I wasn’t too inspired today. I’ll check on everyone else’s blogs tomorrow- gotta run! loved them all but number 3 was great, I will however have that song stuck in my head all day!